Dave Ramsey, a long-time supporter of Mercy Ministries, is known across the country as a personal money management expert. He is also an extremely popular national radio personality and author of New York Times Best Sellers – The Total Money Makeover, Financial Peace and More Than Enough. Over the years, Dave has generously donated his expertise and resources to the residents and staff at Mercy Ministries. Founder and President of Mercy Ministries, Nancy Alcorn, will be a guest on Dave’s Fox Business Show tonight at 8:00 pm Eastern (7:00 pm Central). Nancy Alcorn and Mercy Ministries will be highlighted along with Franklin Graham of Samaritan’s Purse, on this National broadcast of The Dave Ramsey Show, which will be addressing the importance of giving. 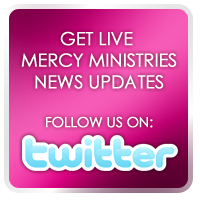 Tune in to see how your support for Mercy Ministries is transforming the lives of young women all across the world! You don’t want to miss it!